SOMArts Gallery and Cultural Center: June 8–20, 2013. 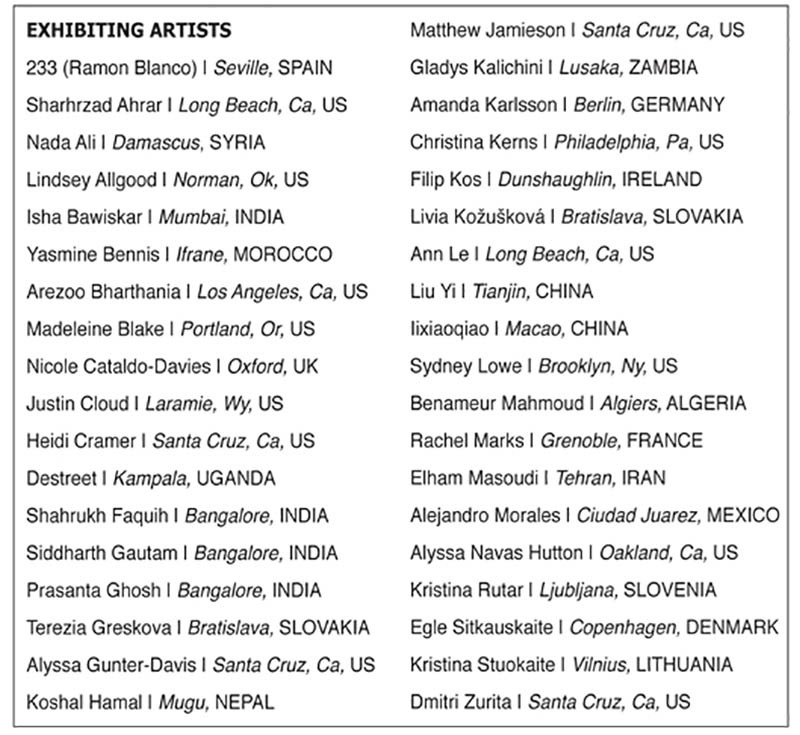 In June 2013, Emergent Art Space (EAS) presented its first international juried exhibition Crossing Borders, featuring the work of 36 emerging artists from 20 different countries. What are our boundaries and what lies beyond them? 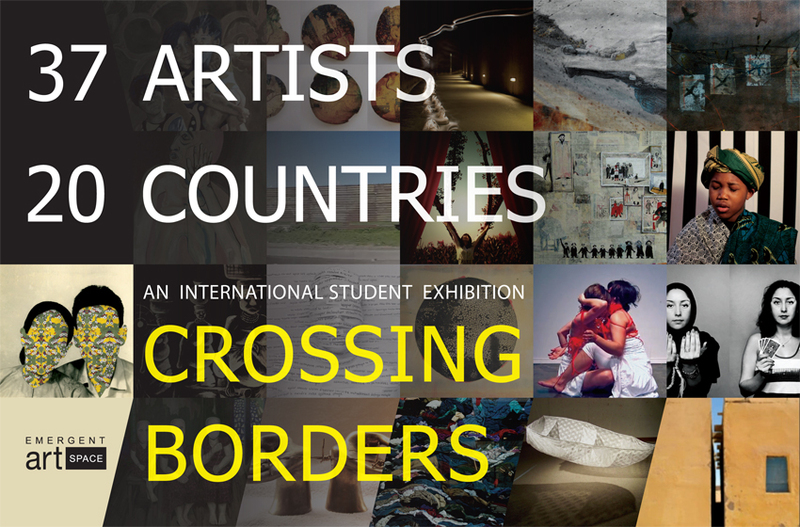 Crossing Borders investigated the geographical, political, social and metaphorical constraints that divide us; to explore our understanding of the “other,” whether unknown or misconstrued; and to build bridges of communication across cultural differences. Founded in 2011, EAS is a non-profit arts organization working to support and connect student artists from around the world. Last September, EAS placed an international call for artists to be featured in Crossing Borders, the organization’s inaugural online juried exhibition. With over 200 submissions by artists from 36 countries, 40 works were ultimately selected for the show.